It was said that this bridge was built in the Edo period (1603 to 1867) by the Yodoya family, a family of rich merchants. 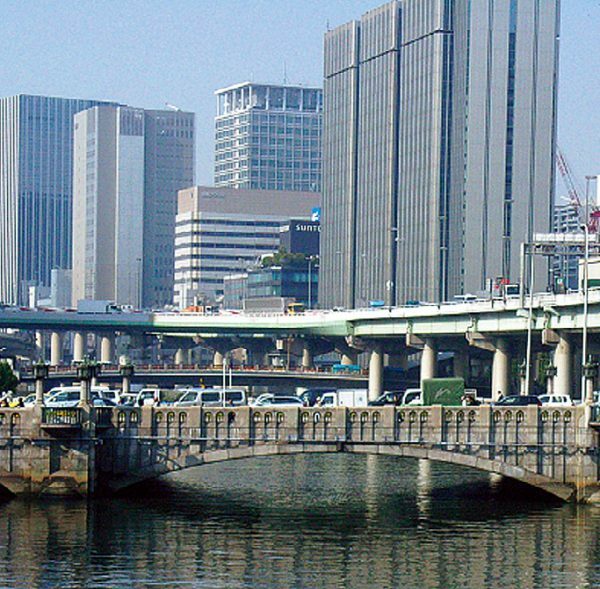 In a recent awareness survey polled in Osaka, Osaka residents felt this to be the city’s most attractive bridge. 1-chome, Nakanoshima, Kita-ku ~ 3-chome, Kitahama, Chuo-ku . ●Subway: Midosuji Line: Yodoyabashi Station (M17).